Another year of tasting Canadian wine, another year of thousands of examples shared my way. Even more international travel made it difficult to keep up the pace but I’m sure I tasted more than 1000 wines once again. We are relentless in our attention paid to Canadian wines at the WineAlign office. 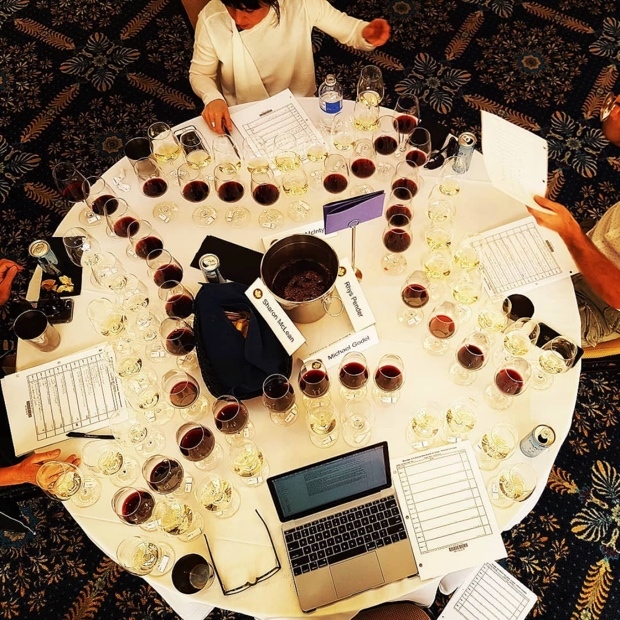 The WineAlign National Wine Awards of Canada convened in June at the convention centre in Penticton B.C. and judging Ontario wines happened with David Lawrason at The Great Canadian Kitchen Party, the artist formerly known as Gold Medal Plates. 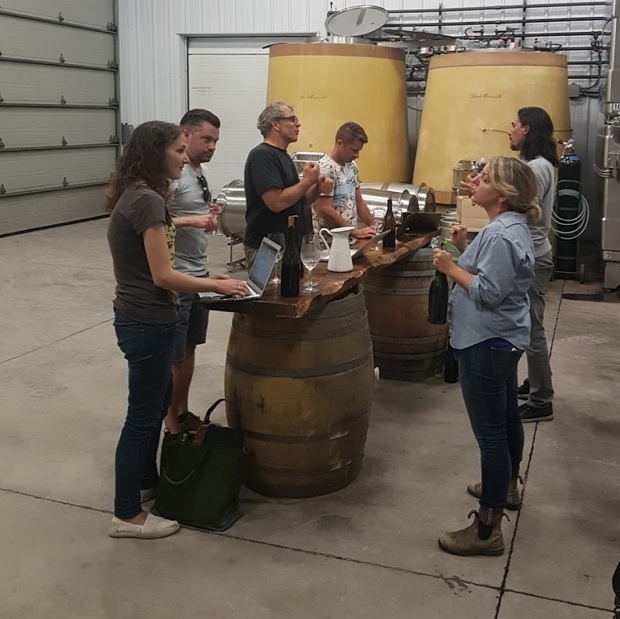 Over the past 12 months my partner Scott Zebarth and I have upped our little négoce game with the fine folks at Ravine Vineyard Estate Winery. With the help of Marty Werner, Ben Minaker and Eden Garry we managed to crush, ferment, blend and bottle three new wines. 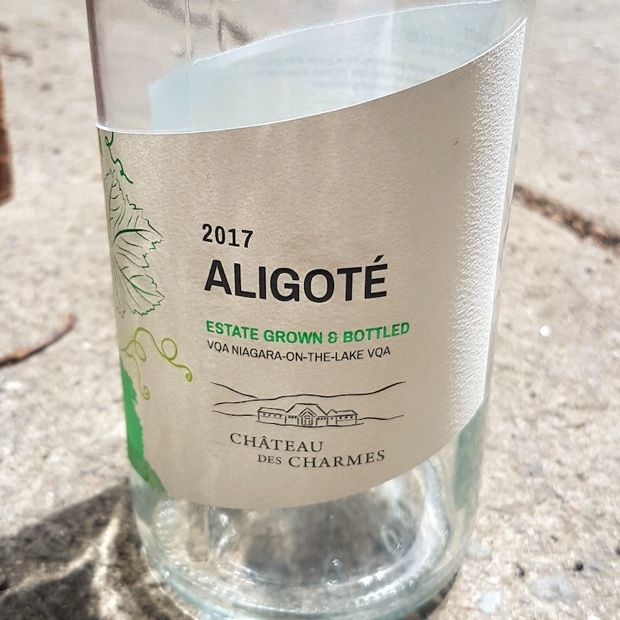 In April there were 594 magnums of Aldé Rosé 2017, a 100 per cent VQA Niagara-on-the-Lake cabernet franc. 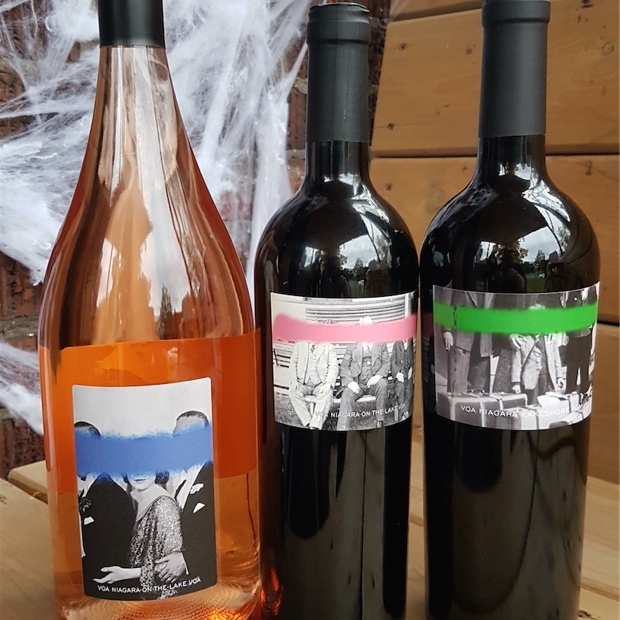 Then in September we released the second vintage of Interloper Cabernet Franc 2017, VQA Niagara-on-the-Lake and our newest wine, As Is Field Blend 2017, VQA Niagara Lakeshore. In 2016 there were 16 wines noted. In 2015 I counted 15 on the filtered list. 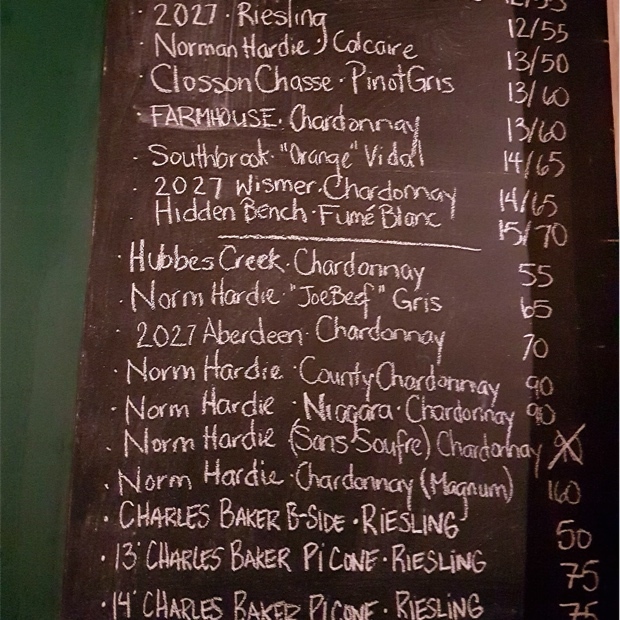 In 2014 the highlights numbered 14, just as in 2013 the number chosen to cant, recant and decant excellence in Canadian wine was 13. Last year you are correct, the list held 17 spots. Roll out the 2018 red carpet. Here are the 18 most exciting Canadian wines of 2018. 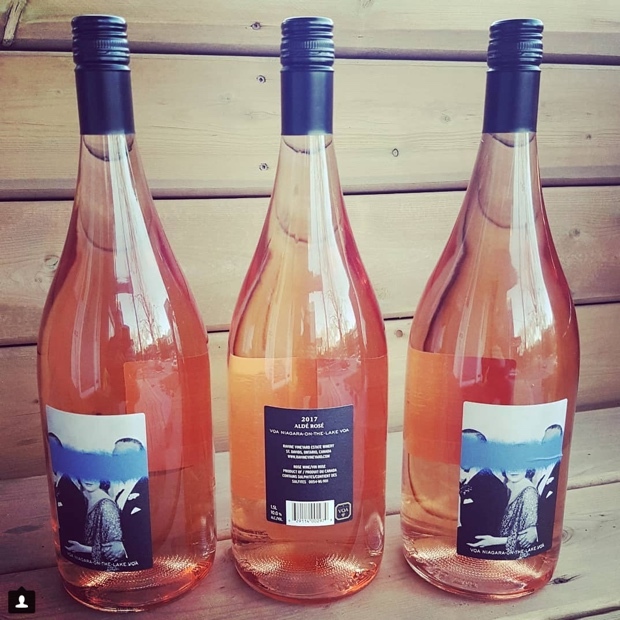 Back up the truck, glug glug Gamay Rosé Flipping the Bird by @hatchwines and where’s J-do? Two years in a row. Well-deserved and just because. 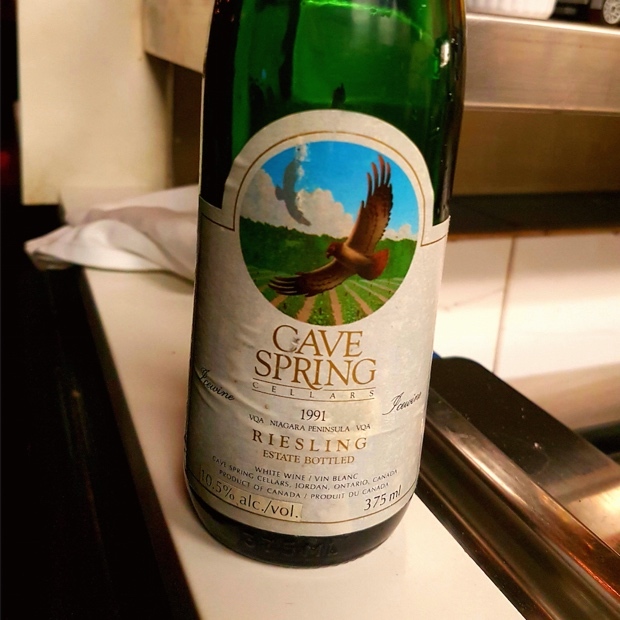 Hard not to put the 1991 Cave Spring on the list but is there any good reason to not place the CSV on the list every single year? Gather your thoughts about pinot noir. Begin with Bourgogne and it’s really quite easy to articulate an opinion. Smells like cherries, shows earth and mineral notes of/from clay and limestone. Texture is specific to the village where it is grown. New Zealand? There’s a recognition regardless, save for a special and singular red fruit that is specific to Central Otago. What about California and Oregon? Any wine geek who knows who they think they are could surely pick them out of a blind tasting with great certainty? 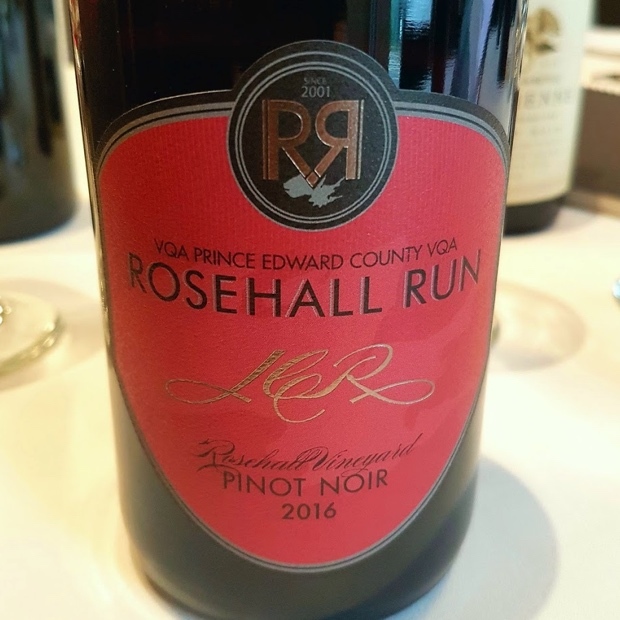 Now what about Canadian pinot noir? That’s a totally different story. If it were just a simple matter of Ontario versus British Columbia that would be one thing but there is Nova Scotia to consider and within the provinces so many sites of origin and stylistic variegation making it really difficult to identify the source. 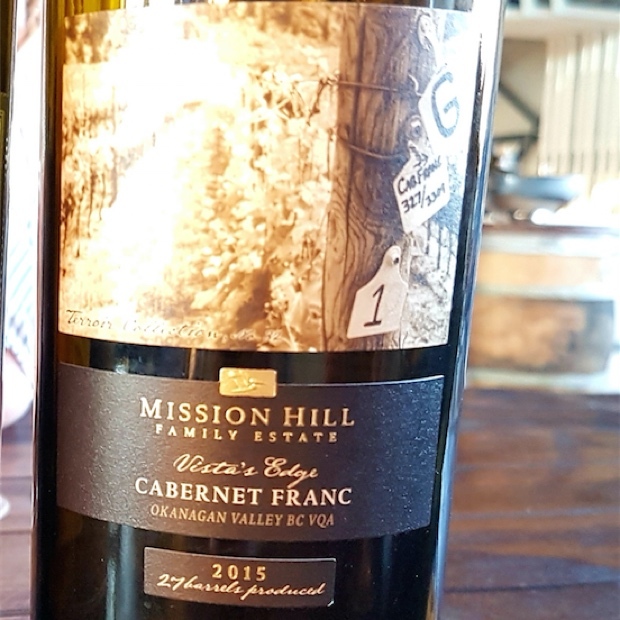 It may be a challenging and oft-times heartbreaking grape but in Canada it increasingly finds a way to ripen from coast to coast. 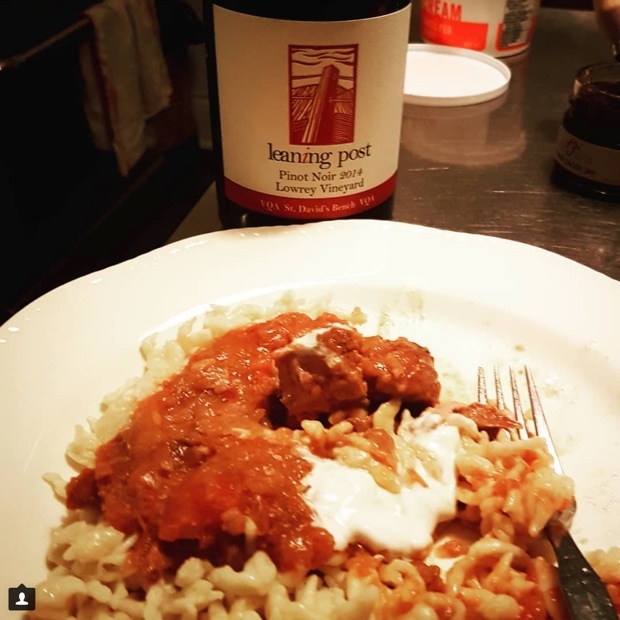 Even if that were less true just five years ago the tenets of experience, acumen and passion have taken pinot noir to heights few believed it was capable of going. That winemakers can now produce so many varied examples tells us it’s here to stay. Bourgogne uses the word Climat to define vineyards or rather the DNA of the vineyards and the official term is specific to wine while the reference lieux-dits is an administrative one. Many would argue that while dirt makes an impact it is climate that inflicts the most drama on a wine but even more important than climate and soil, it’s the people who give the terroir its cultural identity. 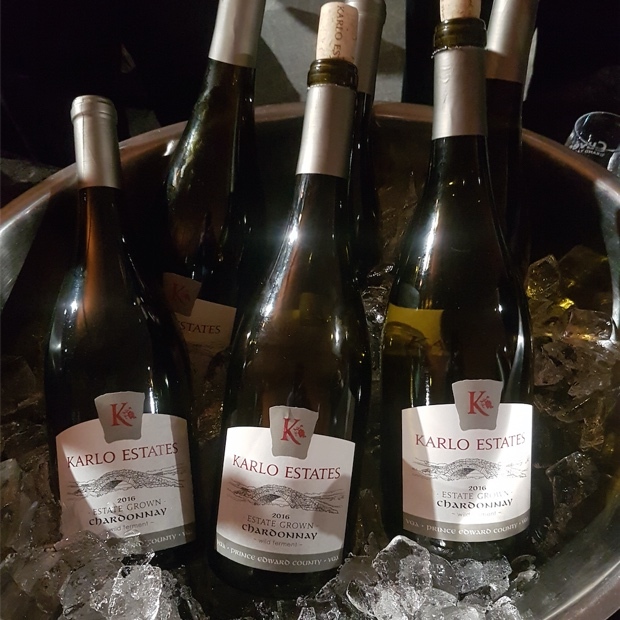 In Canada these notions of accumulate knowledge that can be transmuted from generation to generation are developing so that each appellation or sub-appellation is managing to produce a specific style of wine from vintage to vintage. 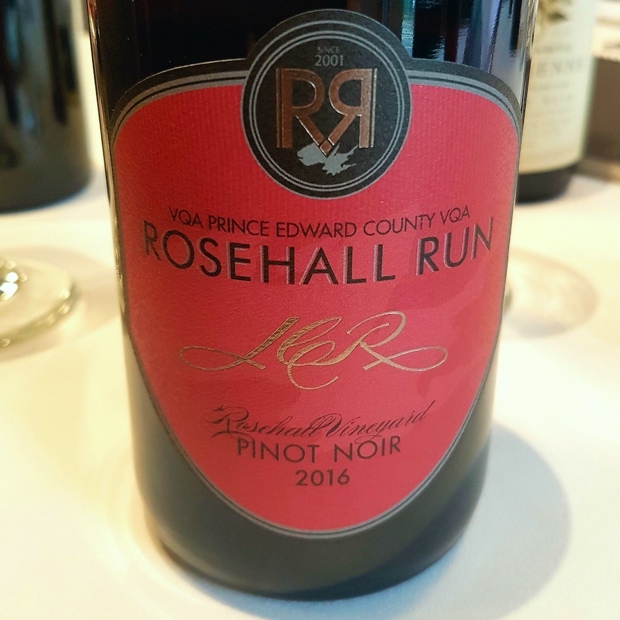 In Ontario there are pinot noir crus few would ague against the probability that in most vintages quality will be a guarantee. 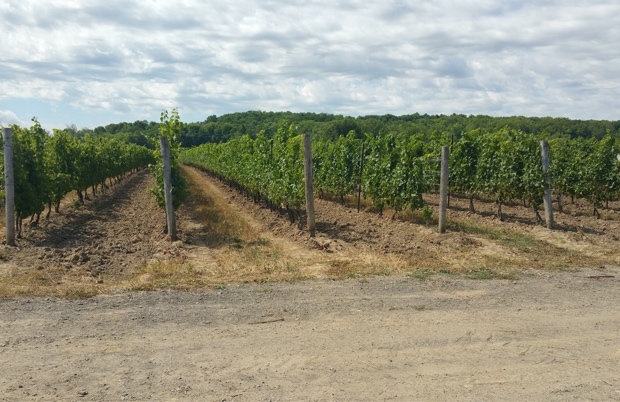 Crus like Lowrey Vineyard on the St. David’s Bench, top blocks in Prince Edward County, several vineyards up on the Beamsville Bench, Wismer-Foxcroft and many plots on the Twenty Mile Bench. 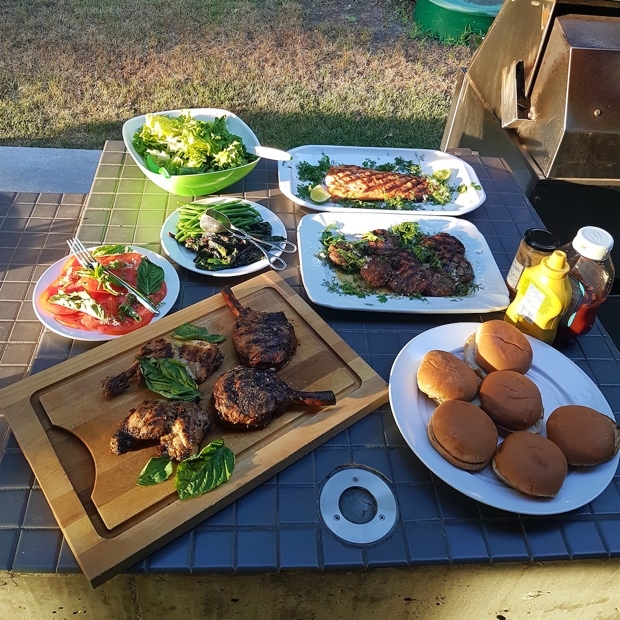 In the Okanagan Valley there are many premier growing sites; East Kelowna, Naramata Bench, Okanagan Falls, Summerland, Lake Country, the Similkameen Valley and increasingly on Vancouver Island. 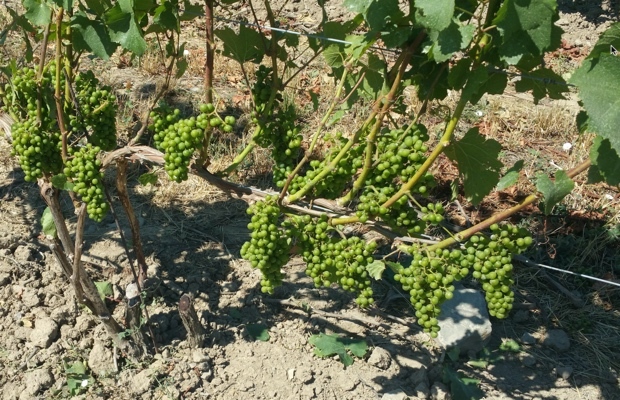 Producers in British Columbia may have more merlot planted than they can or want to have to deal with but in red grape terms, pinot noir is it. There are more single-vineyard, name-assigned, block-designate, terroir collection, (x) series and (Y) cuvées attributed to the grape than any other. 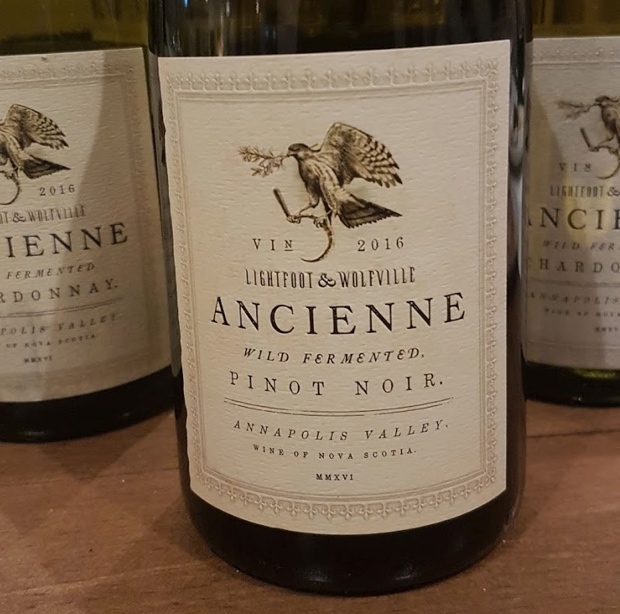 Granted some passion projects are giving some love to gamay and cabernet franc but the attention doted upon pinot noir is unequaled and unprecedented. Proof is in the tabulated pudding, so to speak, with the final results at NWAC2018 showing what’s what. 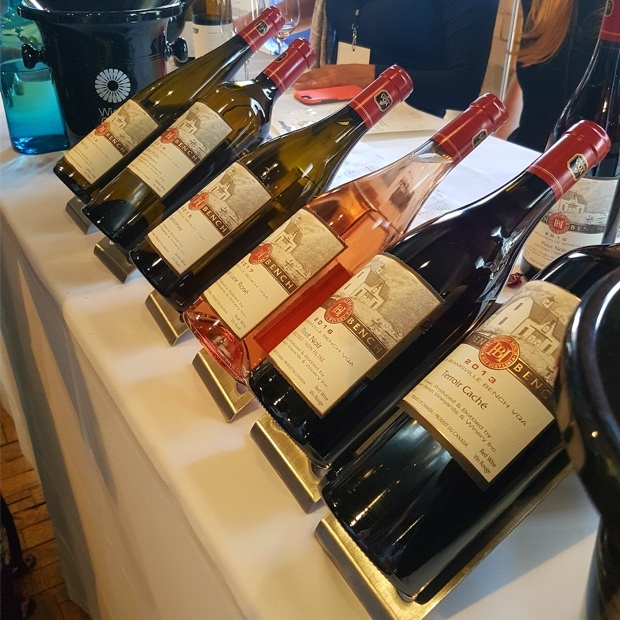 There were 73 medals awarded to pinot noir, a staggering number that represents just less than half of the wines submitted and four per cent of all wines entered into the competition. 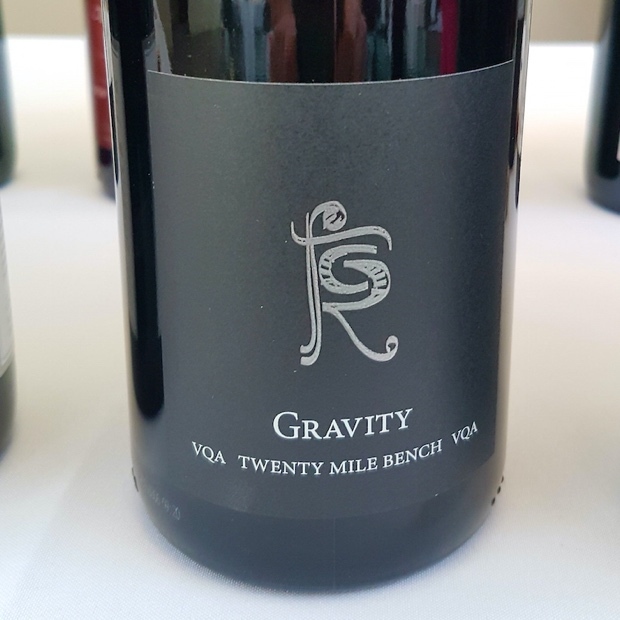 Only red blends (93) and chardonnay (79) received more total medals but most impressive were the 28 Gold Medals in this category, plus 18 Silver and 27 Bronze. The naysayers who continue to doubt whether pinot noir is a viable signature grape in this country are not paying close enough attention to the signs, portents and in conclusion, results. 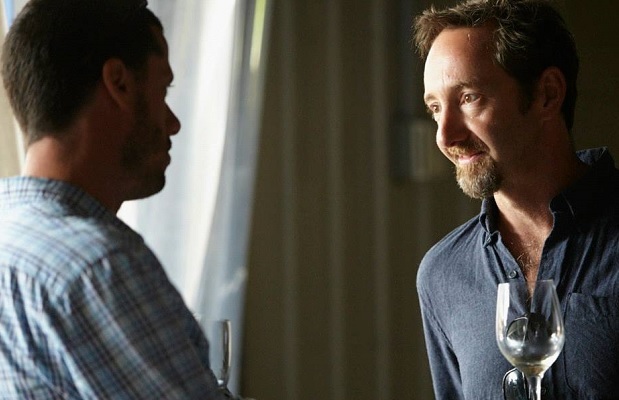 Here are 30 tasting notes for pinot noir made in Ontario. 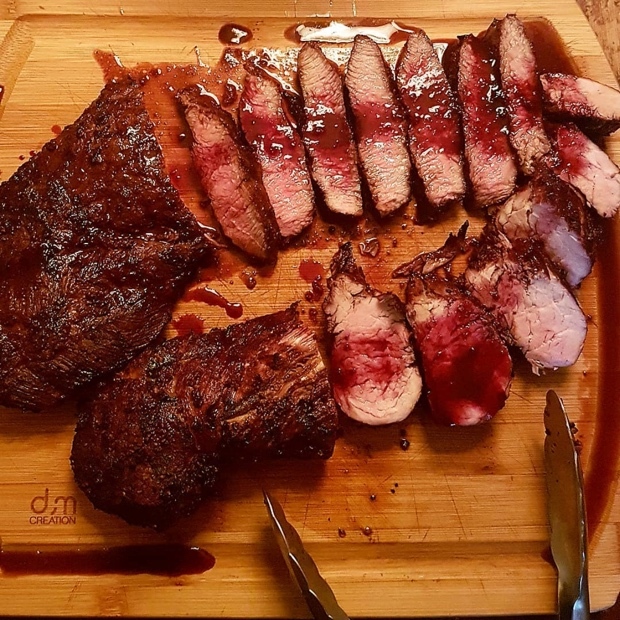 Pork Tenderloin and Flat-Iron Steak marinated in black raspberry lees grilled with black raspberry sauce. 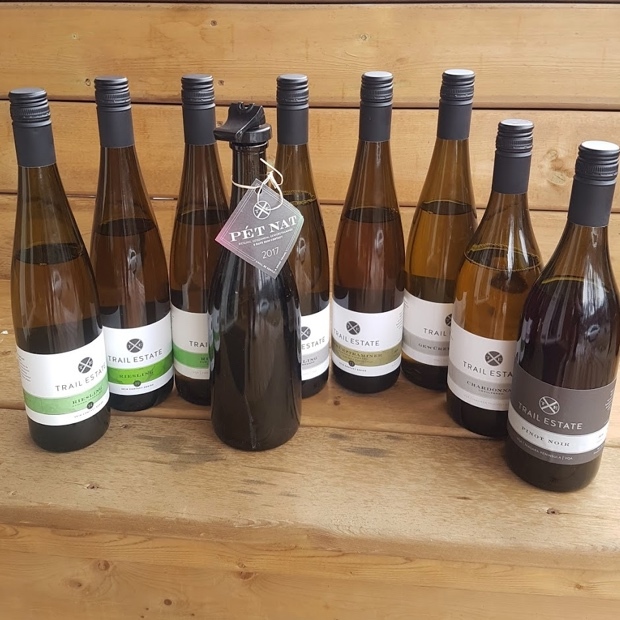 There were 33 medals handed out to White Blends at the 2018 WineAlign National Wine Awards of Canada; seven Golds, 17 Silvers and nine Bronze. 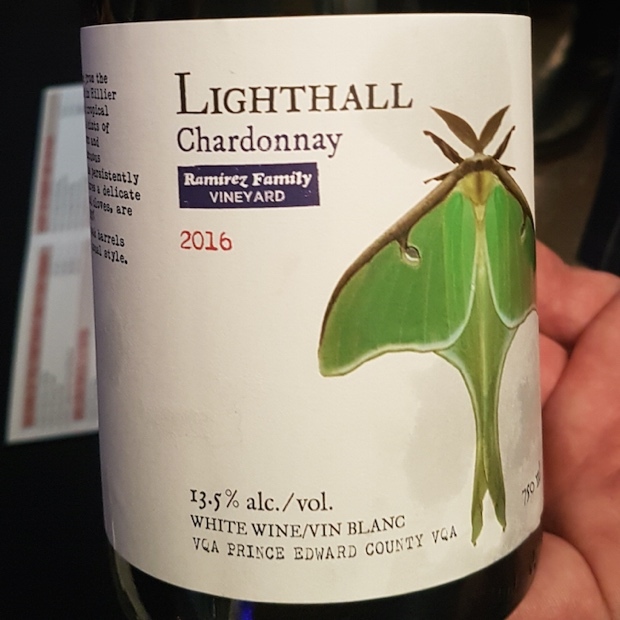 Quietly, stealthily and without great fanfare the strength of the white blend category has taken NWAC18 by storm. The quality of the wines entered has never been higher, visibly and notably spread across the country. The time has come to establish party lines, to create truly parochial white appellative blends under appropriately chosen names. Nova Scotia has long been there with their apt-scripted Tidal Bay. Ontario and British Columbia should heed the economic and marketing success enjoyed by their maritime cousins and join the appellative party. 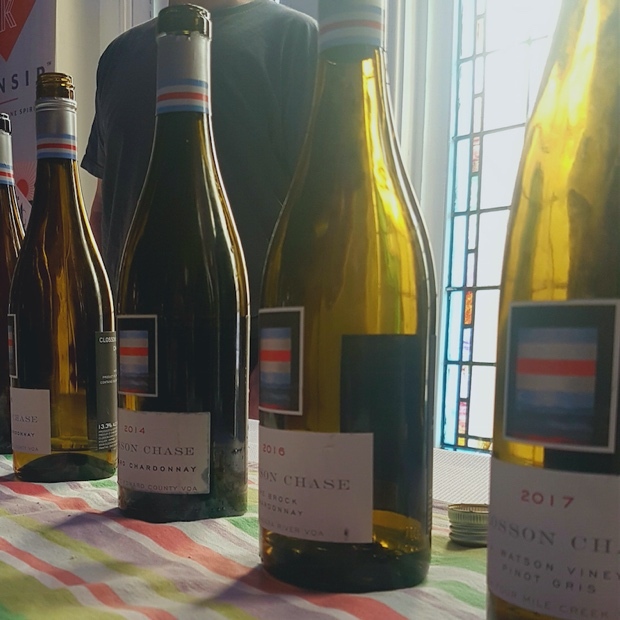 The French regions of Bordeaux and the Rhône Valley are clearly the benchmarks and the inspiration for Canadian-made emulative examples, first from a sauvignon blanc-sémillon connection and then with blends that make use of marsanne, roussanne and viognier. A testament to expatriate excellence is noted in the seven overall Gold Medals in this year’s judging and no less than six others finishing at high Silver status on the cusp of Gold. I for one awarded five 90-plus scores to wines I clearly deemed worthy of such accolade and esteem. 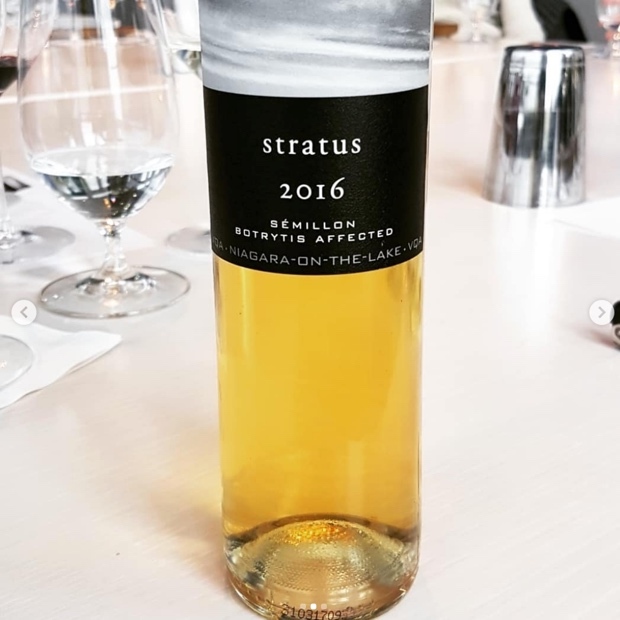 It is interesting to note that White Blends centred by sauvignon blanc in the Okanagan Valley rely on much higher percentages of sémillon than their counterparts in Ontario. 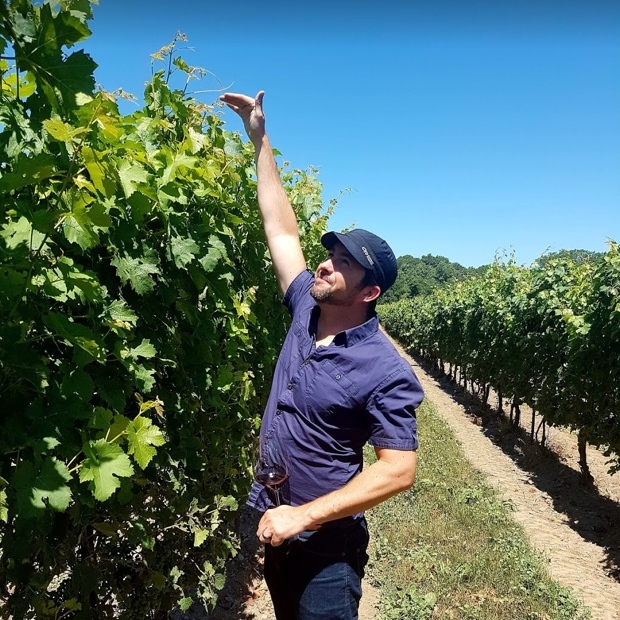 The simplest explanation tells us that the grape variety has trouble surviving harsh Ontario winters, especially when we look back at 2015 and 2016 when much of the province’s vines were killed by sub-25 degree temperatures. But it’s more than that. 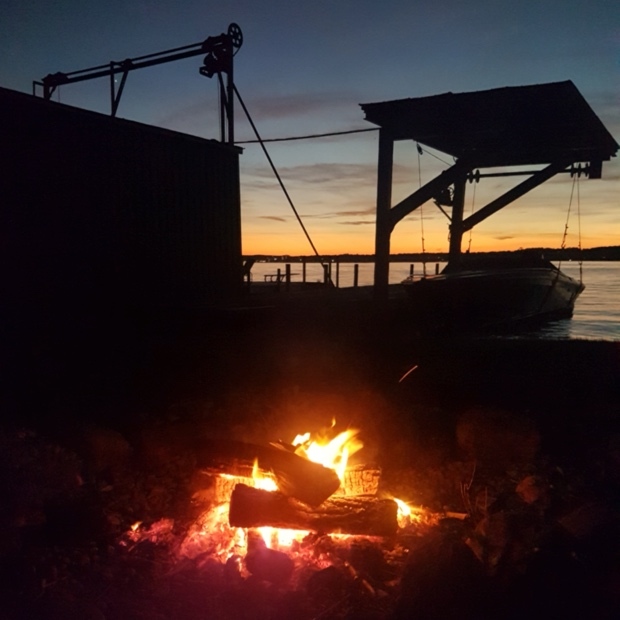 In B.C. 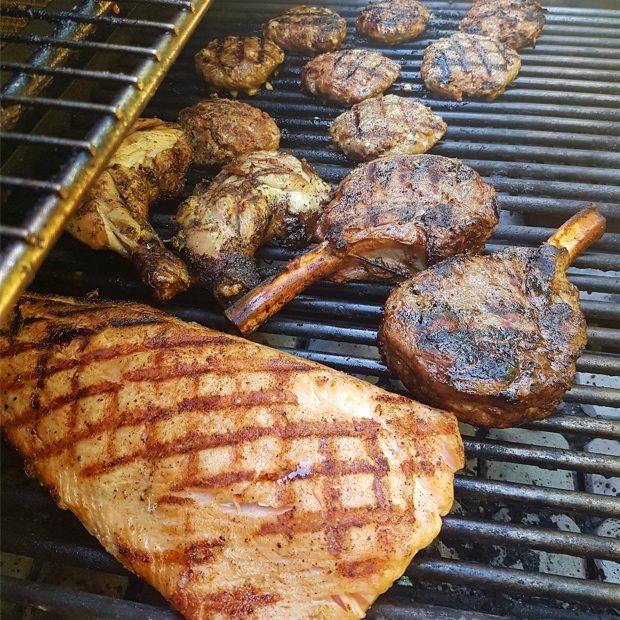 sauvignon blanc can get pretty ripe, tropical and zaftig so it is sémillon that helps to mitigate, temper, inject a flinty-smoky-mineral streak and ultimately bring balance to the relationship. 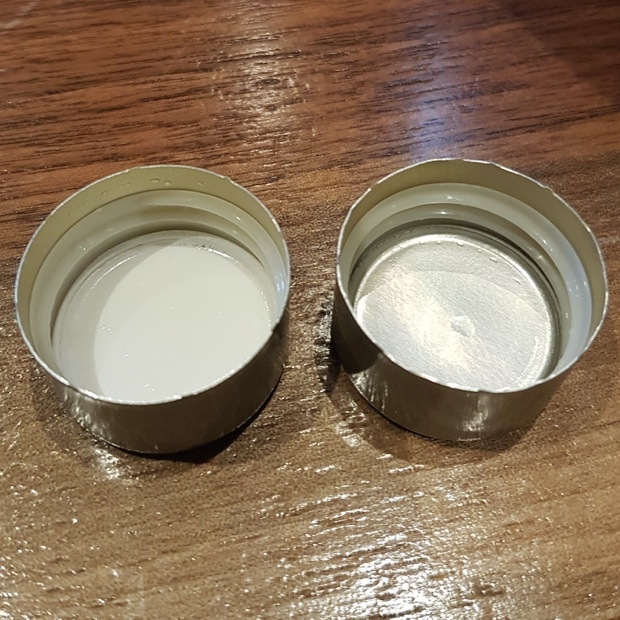 There was a time not too long ago when after the best juice was chosen for varietal wines producers then needed to find a way to use up the dregs of their white ferments. 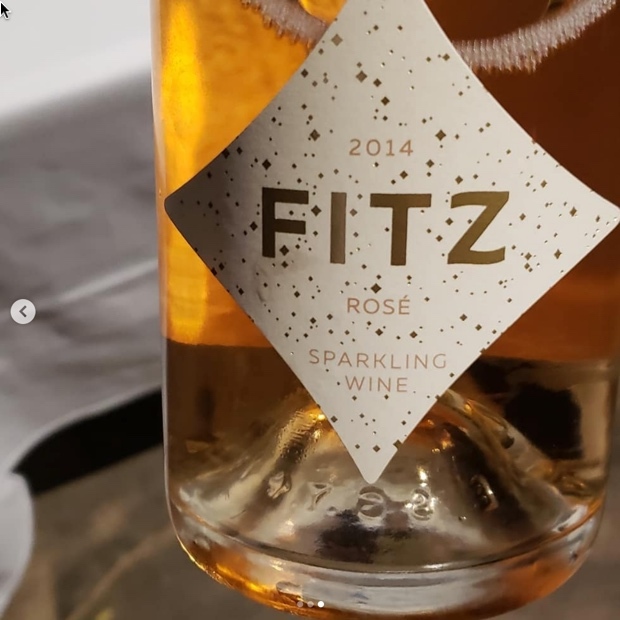 White blends came about out of economic necessity, but like Rosé production in this country so many are now produced with a purpose. As a farmer, if you know specific blocks of sauvignon blanc are destined to join with other plots of sémillon you’re going to prune, pluck, green harvest and ultimately pick in very specific ways. Appellative blends have become a year round occupation. That much is clear. The top scorers at this year’s Nationals have been awarded to seriously and thoughtfully crafted wines. The winners are not entry-level, introductory products at the lower or lowest common denominational levels. 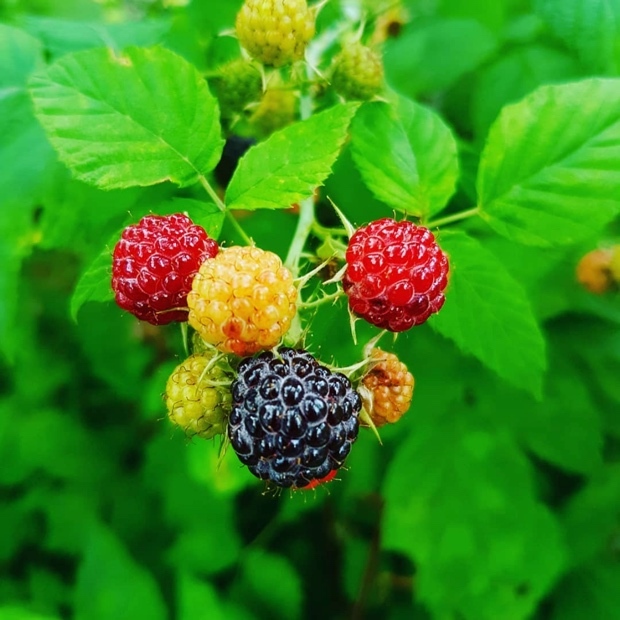 They are not simple aromatic blends of vague fruit and sweet impression, in fact many are graced by beneficial and forward thinking structure. The future certainly looks white blend bright. 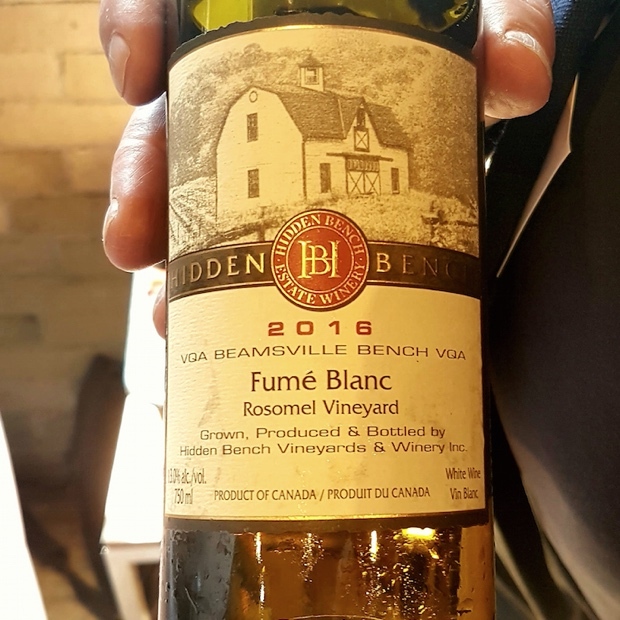 Here are 36 recently tasted Ontario varietal whites and appellative white blends. @mackbrisbois brought the past, the present and the future @trailestatewine to taste. Thanks Mack! Indeed, to my pleasure and my education. The blend of 60 per cent gewürztraminer and (40) riesling is a lovely mix of lemon, apricot and mild barrel notes. It’s a pithy affair, mildly battered and of a soft demeanour. Fresh with fruit skin scents, a passion fruit tang and acidity that’s pretty darn close to spot on. Chewy texture, finishing strong and long. Drink 2018-2020. 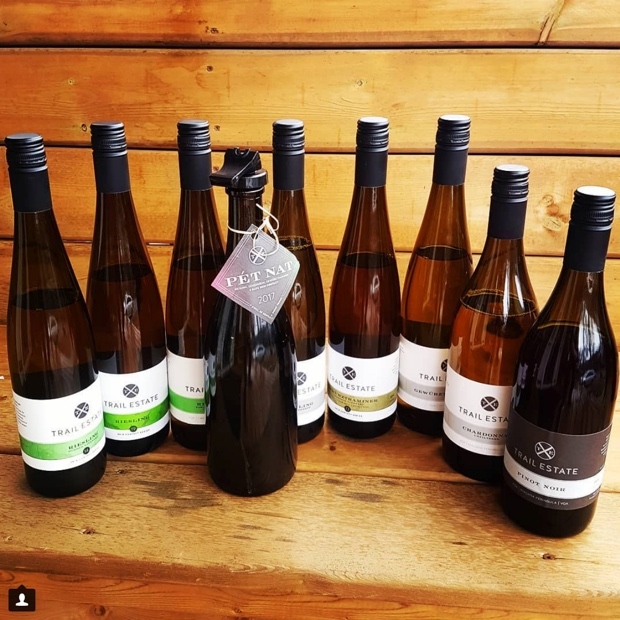 Tasted February 2018 theharewineco @TheHareWineCo The Hare Wine Co. 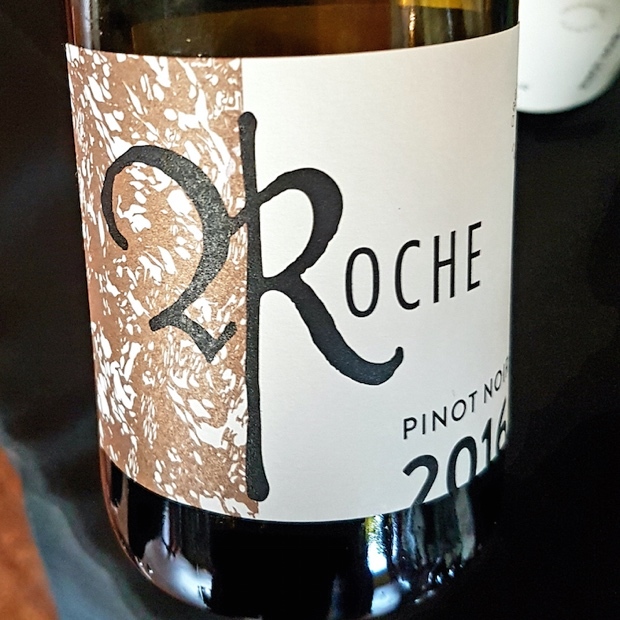 The first time I tasted this blind (at Terroir Symposium) I noted it to be “vidal-like,” a touch oxidative, of this elegant paste or salve, with notes of green plum and just a touch of grapefruit. The second pass confirms it to be a fine vidal orange wine, with more texture than should or would be expected. It delivers lemon and tannin, plus a calculated layering of ample and enough acidity to carry it along. A fine example. Really mouth coating and so tannic. 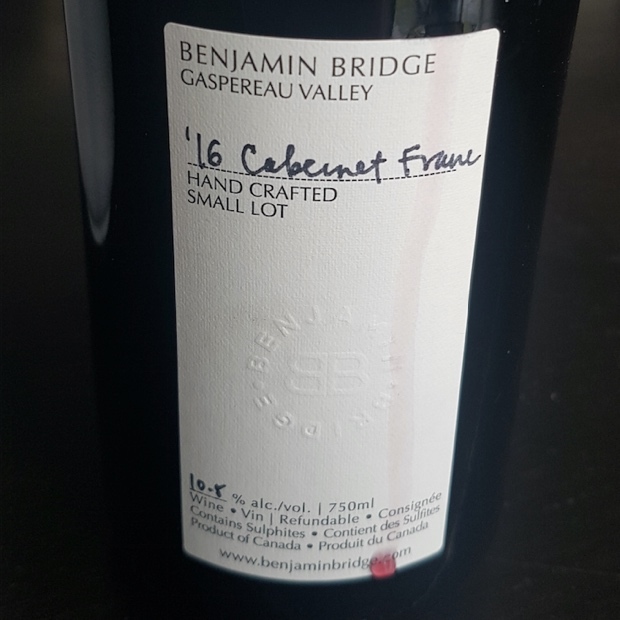 Takes what was learned from 2014 and 2015 experiments and with VQA category approval in its back pocket, begins the true journey forward. Drink 2017-2020. 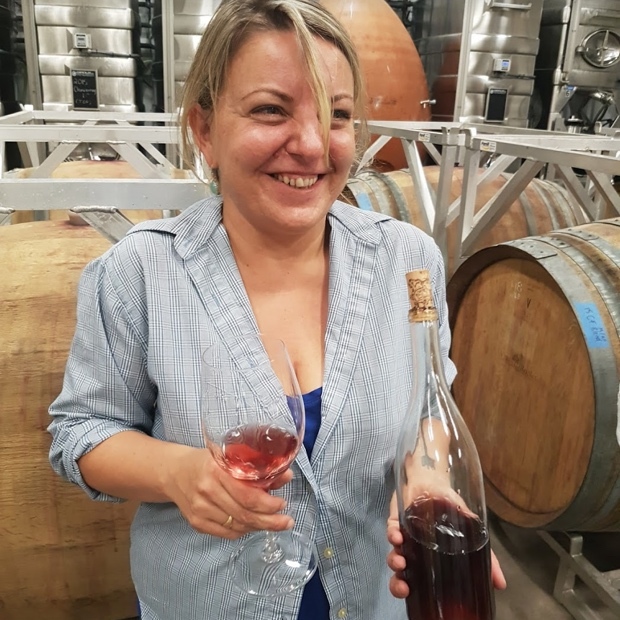 Tasted blind at NWAC17, June 2017 and February 2018 southbrookvineyards thelivingvine @SouthbrookWine @TheLivingVine Southbrook Vineyards The Living Vine inc.
#GoGamayGo is the cry, a hashtag extraordinaire created by the one, the only Janet Dorozynski, JDo to everyone at WineAlign. 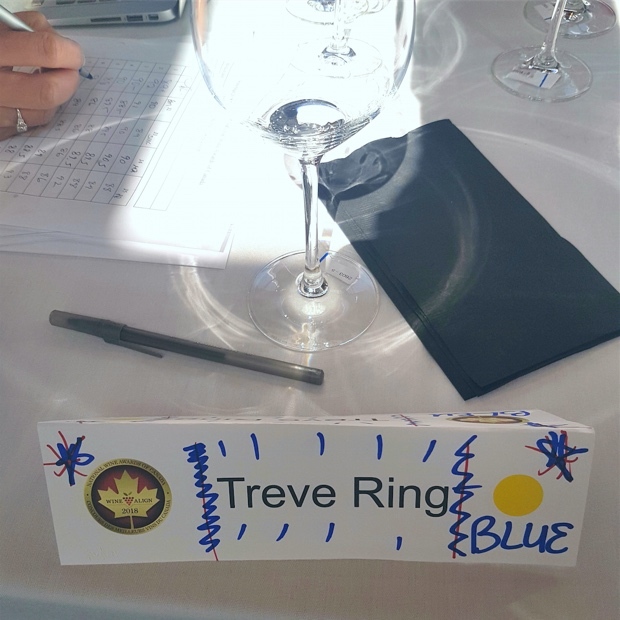 I could expound upon and extoll the virtues of Canada’s great bright red varietal light but what might I be able to say that hasn’t already been sung by Treve Ring? 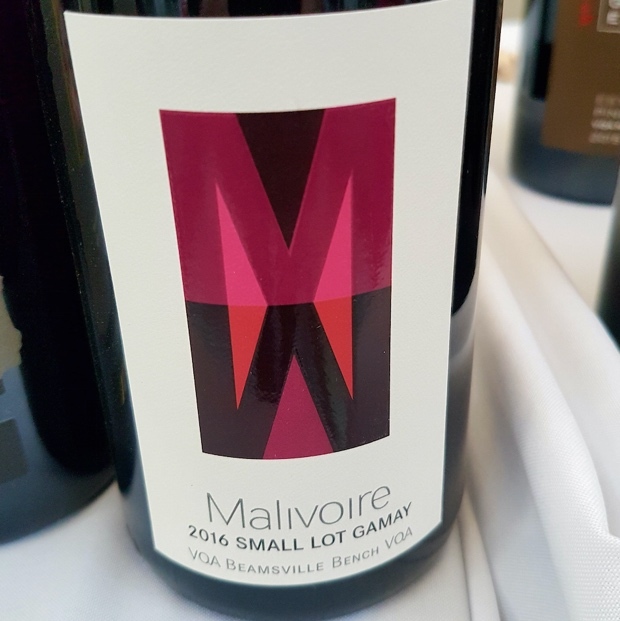 Head over to WineAlign for a look at Treve’s succinct and exacted Gamay dissertation and the results of the Gamay flights/Medal winners at this year’s National Wine Awards of Canada. 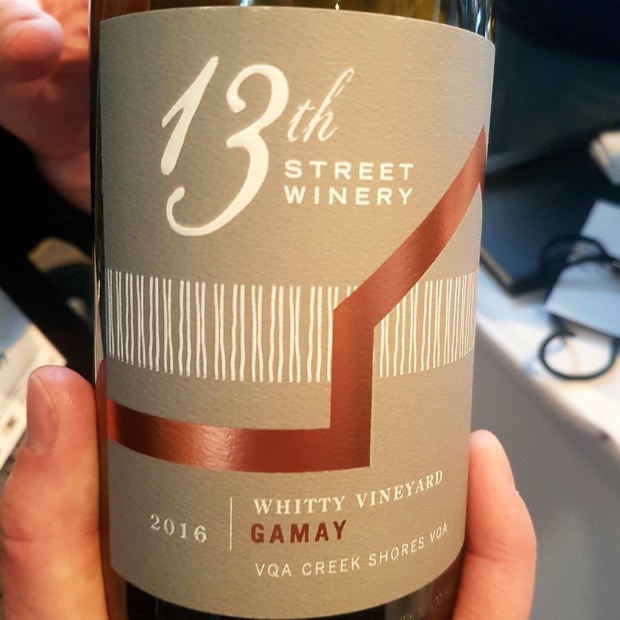 In the spirit of the winners, competitors and Ontario growers who champion this most important and essential grape, here are 12 recently tasted local examples, including five tasted blind at NWAC18. Southbrook’s take on Escarpment gamay is more floral than savoury, heightened in timbre and lifted with a bit of awe, like flipping a coin,”heads for her, tails for me.” Not that such a sweetly scented and easily understood wine should invoke Dickens or any other literary distraction but life does seem to slow down with this in hand. 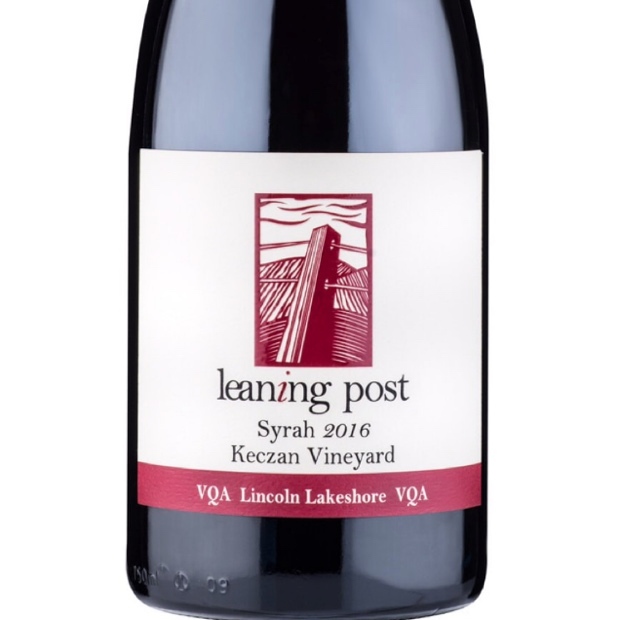 It celebrates what gamay can be in Ontario; lithe, fresh, crystalline and balanced. 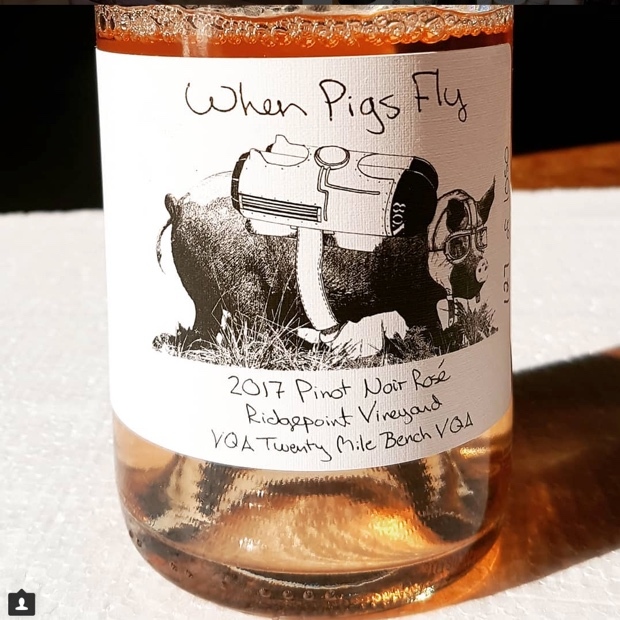 For a brief respite from “the great crises of our laborious human lives,” try a glass of this effortless and inspiring gamay, to be “settled by the idle inspiration of a moment.” Alluring juice from Heather Laundry’s organic Vinemount Ridge vineyard. Drink 2018-2021. 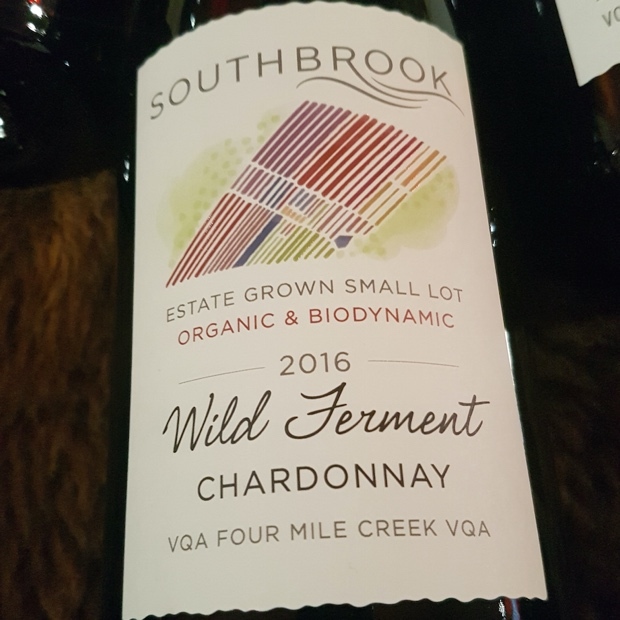 Tasted January 2018 southbrookvineyards thelivingvine @SouthbrookWine @TheLivingVine Southbrook Vineyards The Living Vine inc. 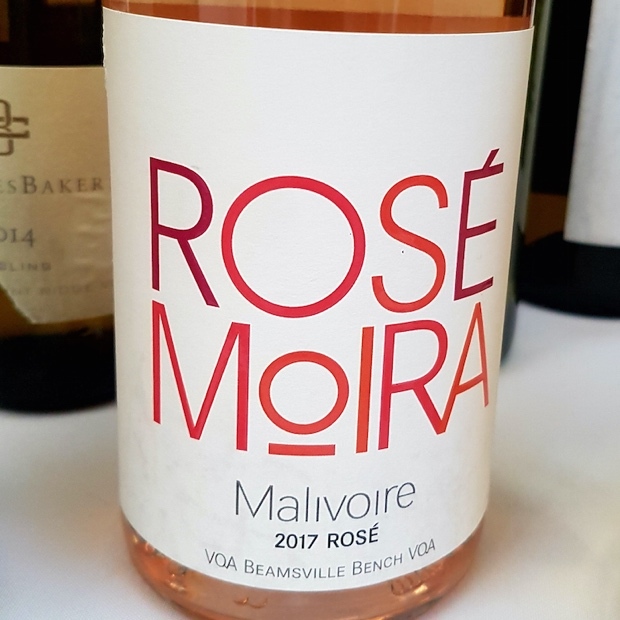 The first of the 2018 WineAlign National Wine Awards of Canada results are now live on site with the announcement of winners in the Rosé category. The global blush explosion has not passed Canada by as witnessed through the record number of entries at this year’s Nationals held in June at the Penticton Trade & Convention Centre. 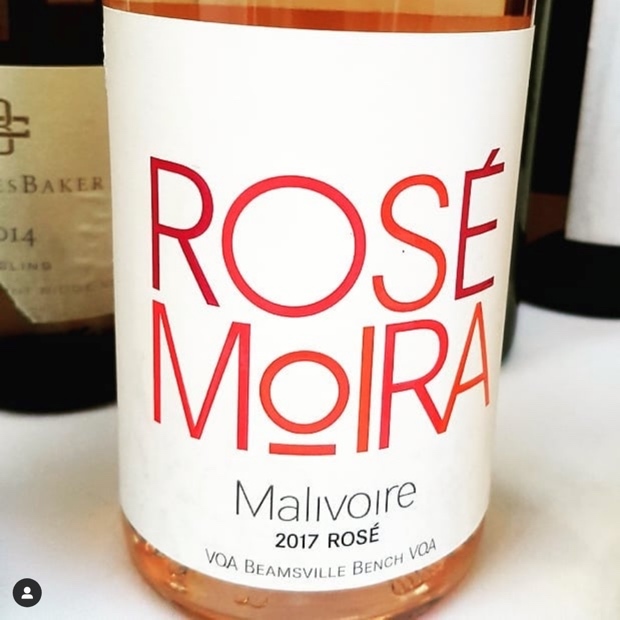 The Rosé romance is still in the honeymoon phase as sales have seemingly been rapidly rising every year for at least the last three and show no signs of slowing down. 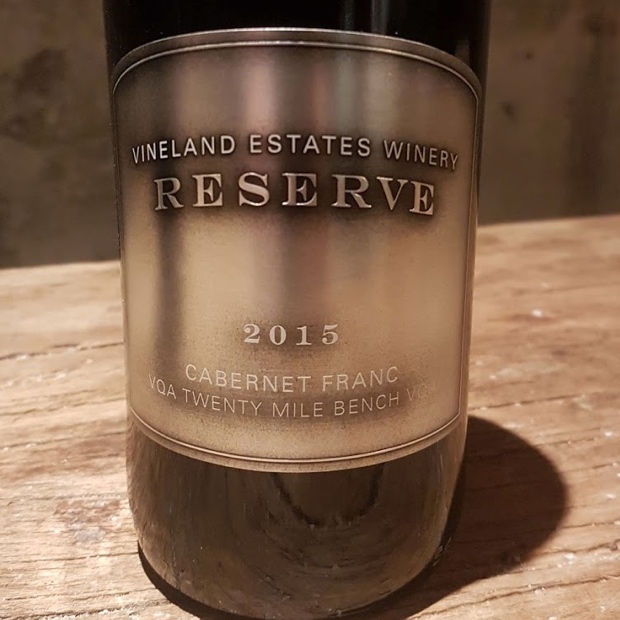 In the early part of 2018 my partner Scott Zebarth and I made 599 (sold out) magnums of 100 per cent cabernet franc with Marty Werner and Ben Minaker at Ravine Vineyard. We are officially part of the problem, I mean program. 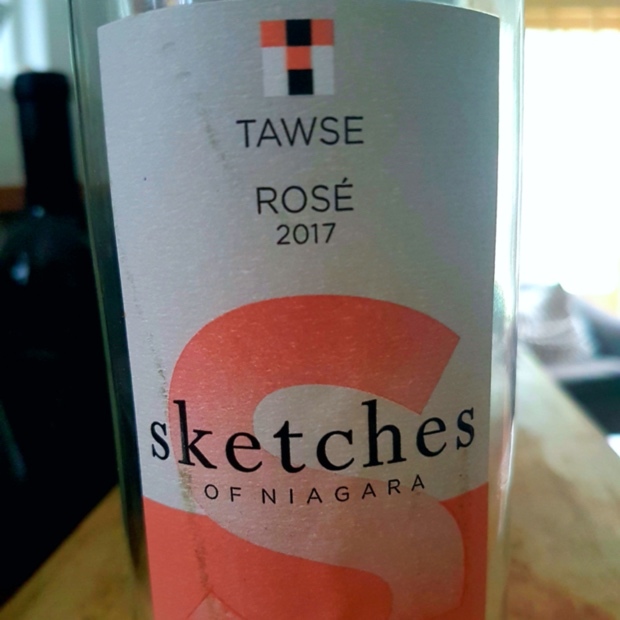 As part of an ongoing series in which I am publishing my most recent tasting notes of Ontario wines in any and all categories, here are 20 Rosés of local origin, including a half dozen tasted blind at NWAC18 last month. Day 3 #nwac18 shades with Rosé nails by @heatherriley29 and a 50 for the judge from Nova Scotia. Mostly cabernet franc (85 per cent) with merlot in this tart and rich blush. Currants and blackberries, good flow and integration, very solid if typical and correct, highly market saturate and soluble commercial Rosé. Drink 2018-2019. 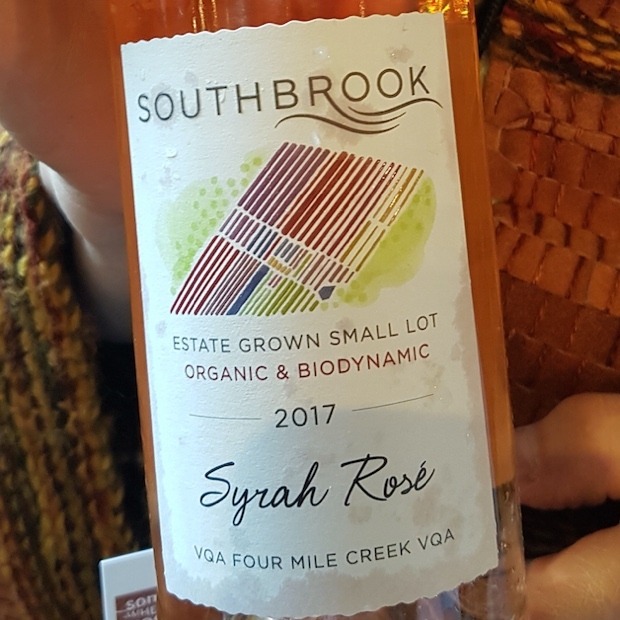 Tasted blind at NWAC18, June 2018 southbrookvineyards thelivingvine @SouthbrookWine @TheLivingVine Southbrook Vineyards The Living Vine inc.
Ann Sperling’s small lot, organic and biodynamic syrah shows what the vintage is for Rosé, that being stellar and why did Ann make such a varietal Rosé? “It seemed like a good idea at the time.” It’s still a good idea. Great acidity, faint white peppery red fruit, namely raspberry and then that blush catalyst called texture. Salty, fruity, energetic and well-commanded. Proper. Drink 2018-2019. 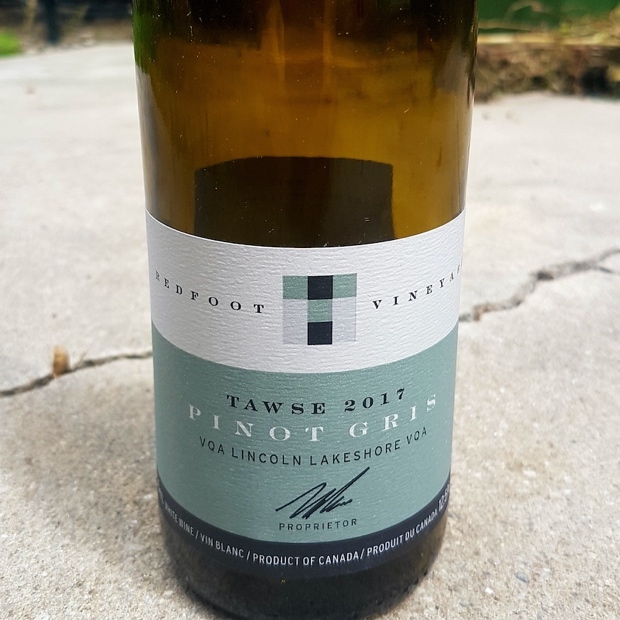 Tasted April 2018 southbrookvineyards thelivingvine @SouthbrookWine @TheLivingVine Southbrook Vineyards The Living Vine inc. 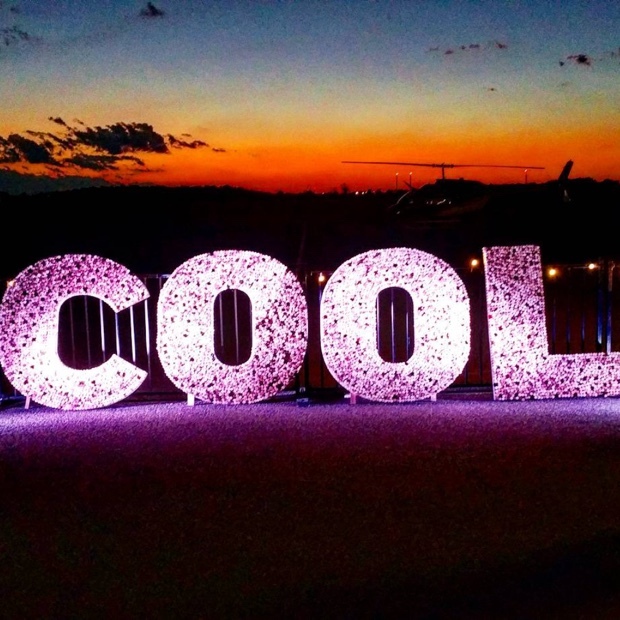 This time next week I’ll be parked front and centre at White Oaks Resort in Niagara for the i4C 2018 School of Cool, presented by VQA Wines of Ontario, The Wine Marketing Association of Ontario, the Grape Growers of Ontario and Wines of Chablis. You can to if you manage to grab one of the few remaining tickets. Session One, The Perception of Chardonnay will be moderated by Dr. Jamie Goode, Session Two, Desert Island Combo – Chardonnay and Cheese by Peter Rod and Session Three, Raising Chardonnay by John Szabo, MS. I’ll continue on to join in the cool festivities all weekend long. 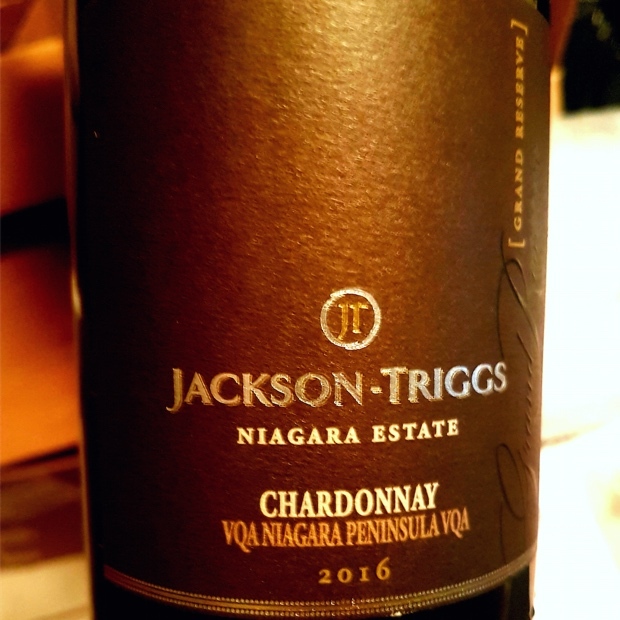 Friday evening’s Flights of Chardonnay event will be held once again at the Niagara District Airport and the Saturday night Cool Chardonnay World Tour Tasting & Dinner will take place at Ridley College, St. Catharines, Ontario. On Sunday morning Ravine Vineyard will play host to the Moveable Feast Brunch. This year, 63 winemakers from ten countries will be pouring 165 wines in Niagara from Friday, July 20th to Sunday July 22nd. 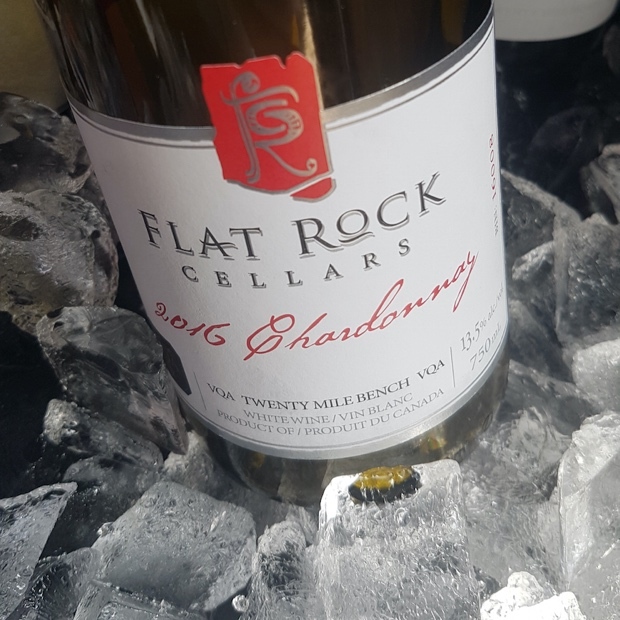 Let’s get into the spirit and check out 11 of my most recently tasted chardonnays. Just over two months from now the world will reconvene in Niagara for the eighth i4c summit and that’s got me thinking again. Thinking about chardonnay. Contemplating the axiom of chardonnay continuing to make its own new set of rules, putting its best foot forward, not being influenced by fools. 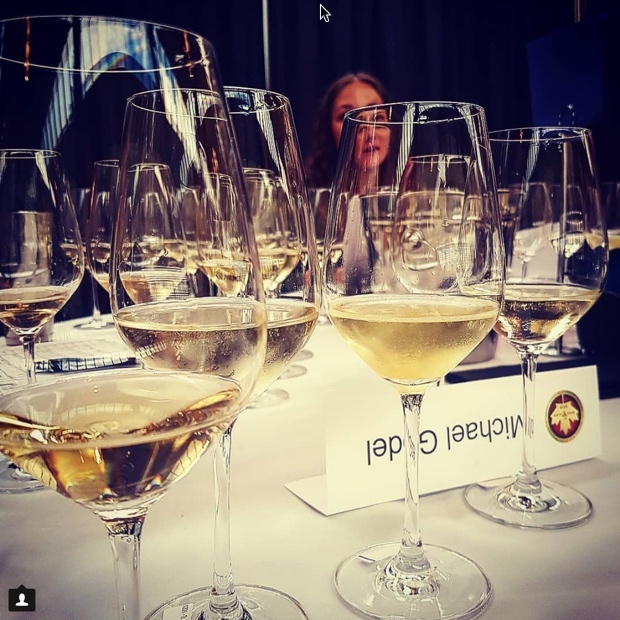 After the seventh installation of the International Cool Climate Chardonnay Celebration I wrote “there is no secret that Ontario winemakers have worked tirelessly to develop the ability and the acumen to make world-class white wines. 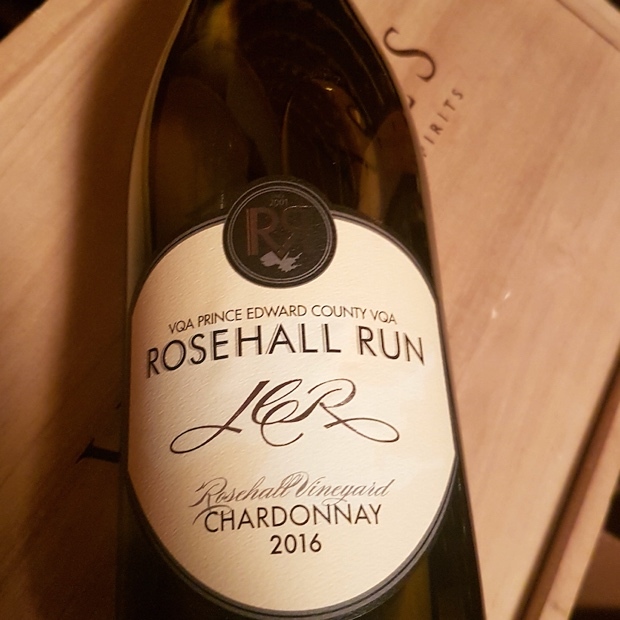 There may be no better example of this then what was again on display at i4c.” Always reinventing itself and potential fulfilled, chardonnay, the slow train coming. 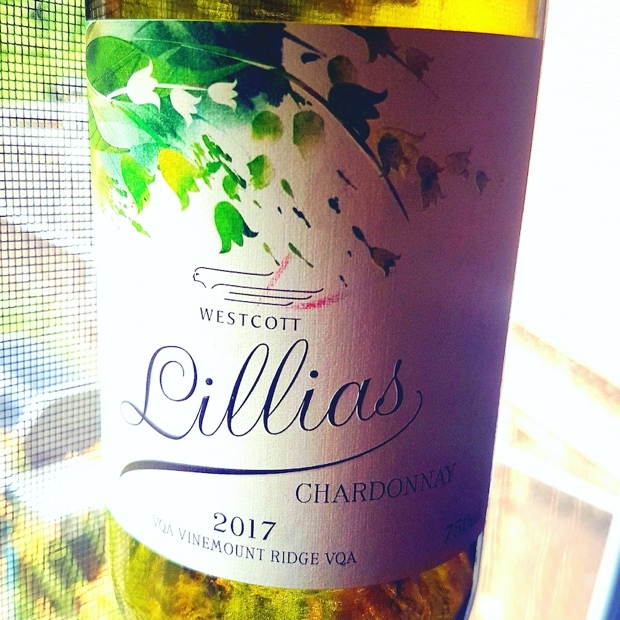 I’ve asked many questions and posed, ego notwithstanding by waxing some pretty bold transcribed statements on behalf of our beloved chardonnay. The phrasing has included Chardonnay is cool, ‘I4C’ a future filled with Chardonnay, Can chardonnay get any cooler? and You’ve gotta be cool to be kind. It’s all purposed to give a glimpse into the portal of how far Ontario has come and to where it may be heading. 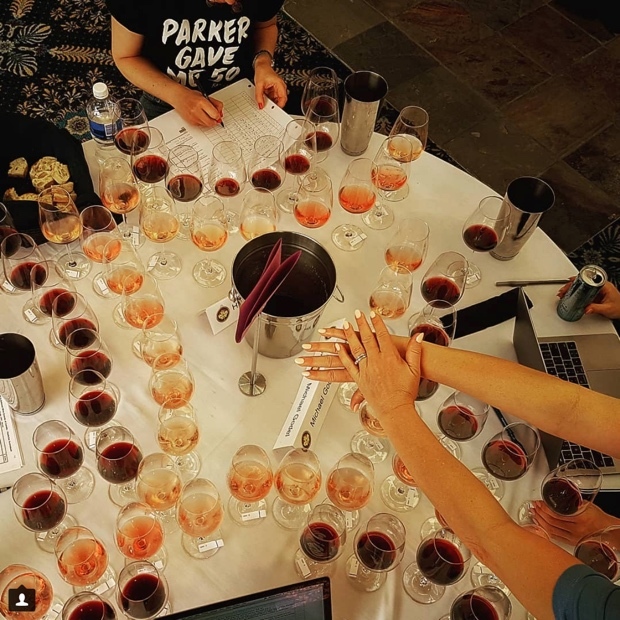 As we continue to taste, assess and take note of wines poured out of the 2015, 2016 and now 2017 vintages we feel the progression dovetailing towards the cool and the ethereal. The deeper understanding walks among us. 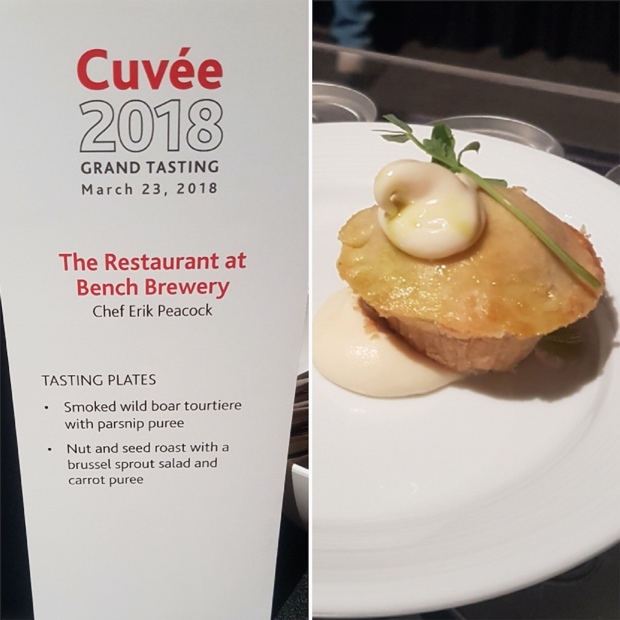 The winter of 2018 brought us from Tastes Untamed in Toronto to Cuvée in Niagara Falls and back to Taste the (Prince Edward) County downtown. 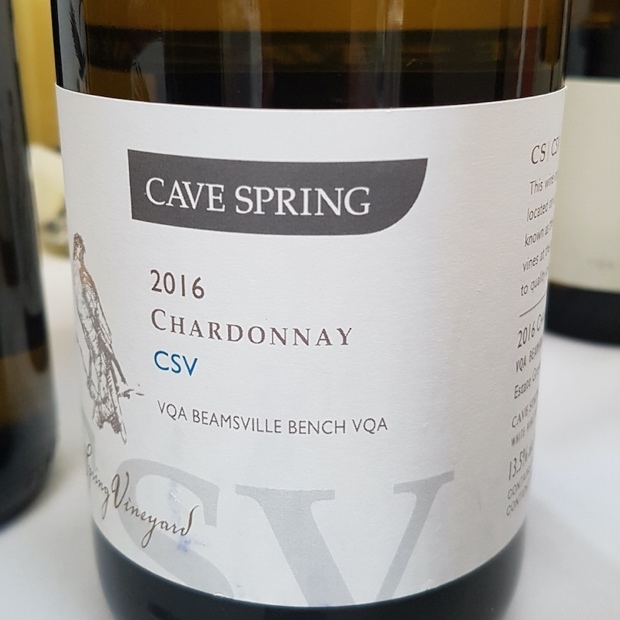 Spring dovetailing moved across the Terroir Symposium, the Wine Council of Ontario’s first annual Ontario Craft Wine Conference and most recently Somewhereness continued to show examples of Ontario chardonnay. 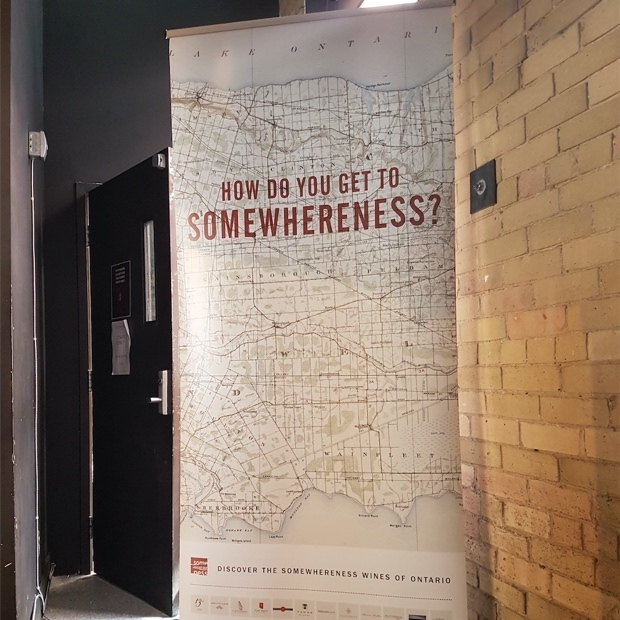 The saturated and intensive start to 2018 is a pronouncement of the Ontario wine industry’s unwavering commitment to march forward, with swagger, collective identity and unabashed promotion. In just 67 days we’ll take in viticultural and winemaking sessions at the School of Cool, Kick the Dirt with local growers and taste through flights of chardonnay. Meanwhile, later this week Ontario vintners and winemakers will be pouring at Canada House in London, England at the Trade and Media Table Top Tasting hosted by The High Commission of Canada to the UK in London and Janet Dorozynski, Trade Commissioner, Wine, Beer, Spirits and Tourism, Global Affairs Canada. 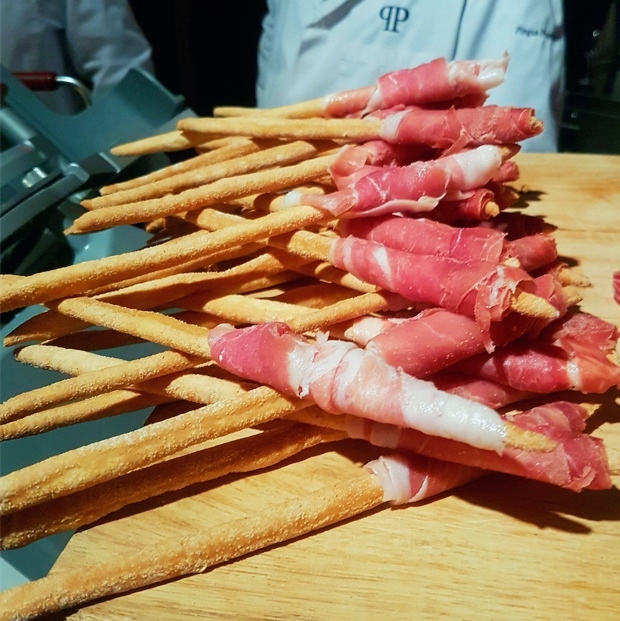 The May 17th, 2018 Taste Canada UK event is an opportunity for Canadian producers to meet with trade, educators, and media contacts. The high-level London show will build on the success of the previous tastings in London including most recently the Taste Canada UK 2017. All interested producers from across Canada are invited to participate. 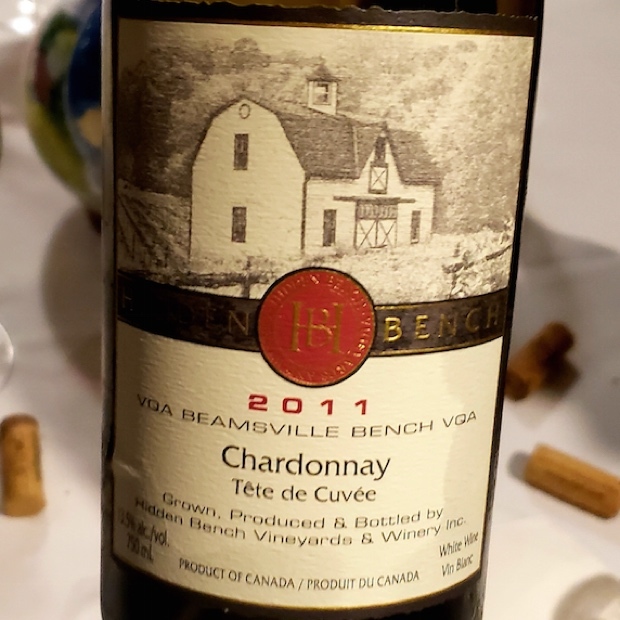 Related – How can i4c the future through cool chardonnay? I’ve said it before. 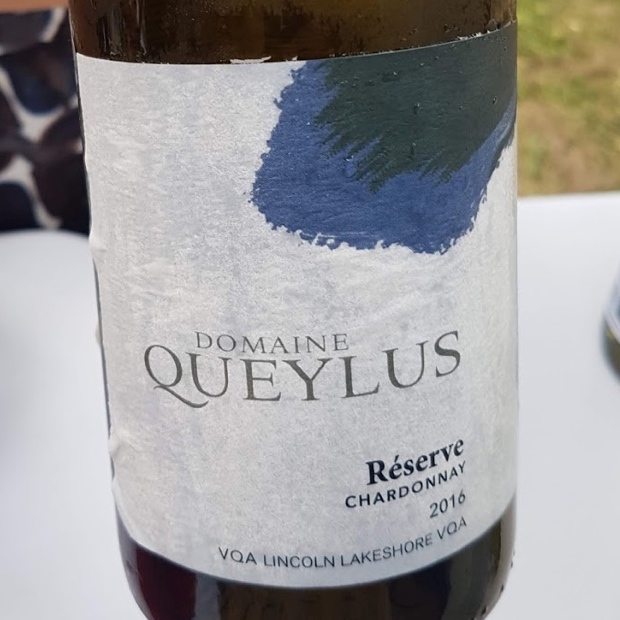 In Ontario, raising chardonnay is “about growing grapes and making wines in places we all previously discounted…few ideals or notions are hotter these days than those relating to cool climate viticulture and the selvage regions from where such wines are produced.” These were my words after the seventh i4c, Niagara’s International Cool Chardonnay Celebration. I’ll be back in July for number eight. Will you? 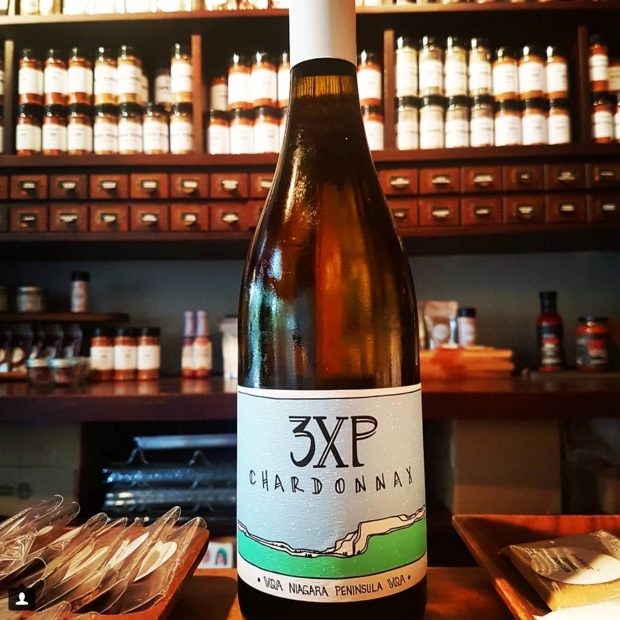 Chardonnay is the second exposée, following on the heels of riesling and ahead of sparkling wines, other white varieties and appellative blends, gamay, pinot noir, cabernet franc, plus other reds and red blends. This 21 chardonnay salute covers what I’ve recently tasted, plus a select few from 2017 I have not opened up godello.ca white space to fill. 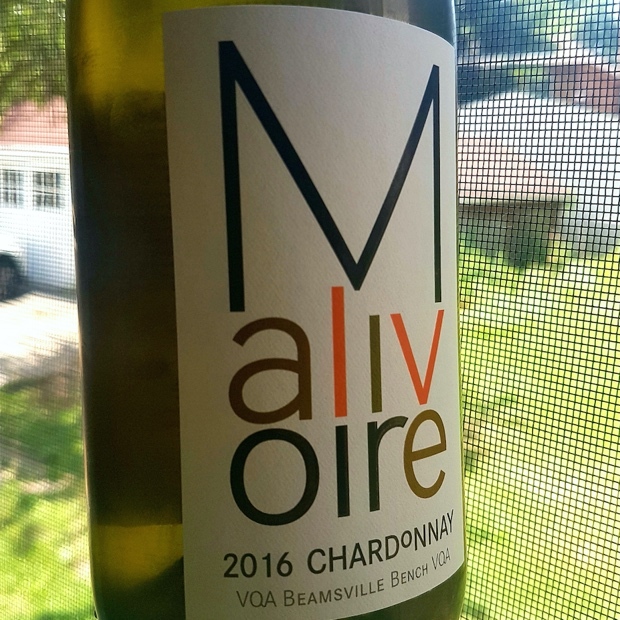 Today I give you Ontario chardonnay.